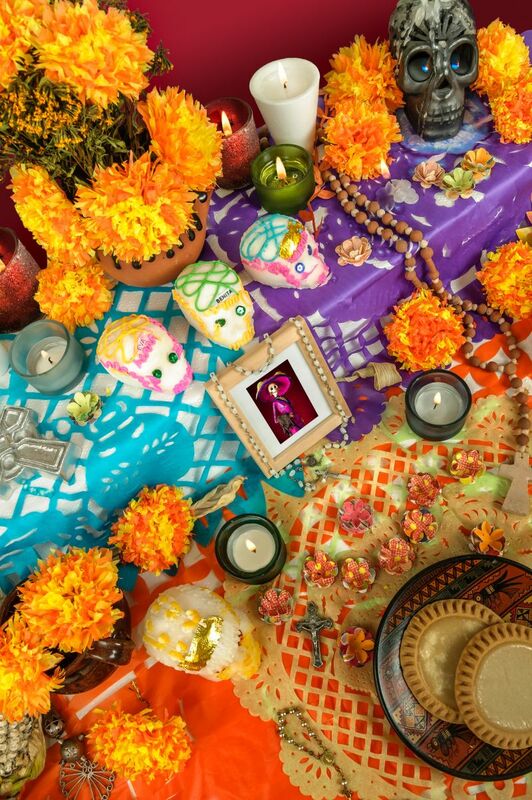 Families set up special altars called ofrendas to welcome the spirits back home and offer them some of the most favourite drinks, foods and items of the deceased. Sweet candies and toys are left for the spirits of small children. Lots of flowers are used to decorate the altars and add more festivity. One of the symbols of Day of the Dead is the Mexican cempasuchil (wild marigold flower). It is believed that the sweet scent and bright colours of the marigold guide the spirits to the altars prepared for them. The flowers are used to adorn not only the ofrendas, but doorway arches and graves as well. Despite its vibrancy and cheerfulness, the marigold is considered to be the “flower of the dead”. Skulls and skeletons are widely used on the Day of the Dead as a reminder that death is an inevitable part of life. Sugar and chocolate sculls are gifted to friends and family members. A popular symbol of the holiday is “La Catrina” which is a female skeleton who wears a bright and colourful dress. It is also used to symbolize that people shouldn’t be scared of death but accept it as something normal in life. 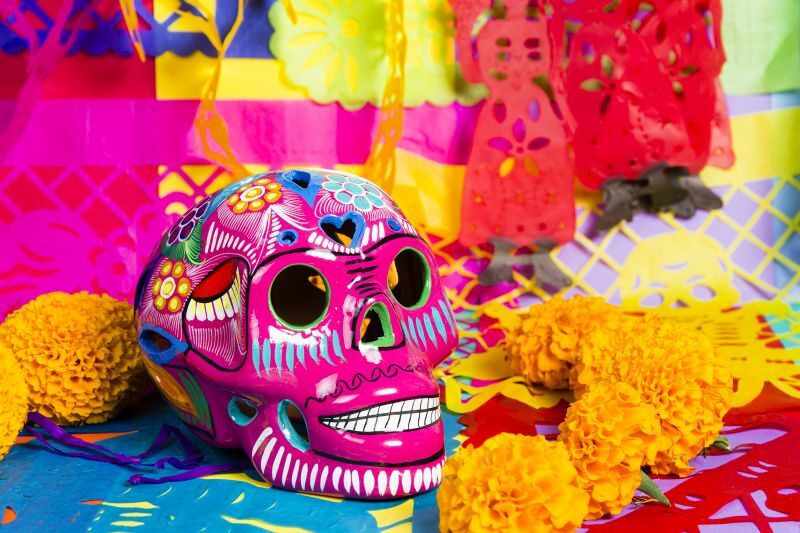 Although Day of the Dead is celebrated mostly in Mexico, it has evolved to many other countries as a day to honour the lives of the people who passed away and continue to celebrate their souls.